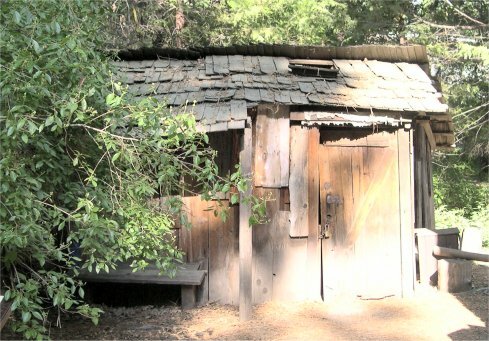 Soon after non-Indians settled in Yosemite in the 1850s, local Indian people began emulating the building styles of these Euro-Americans. Cabins such as this one were in use of residences in this area until the 1920s. 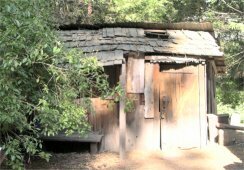 Built directly on the ground, they often had a central fire pit and a smoke hole in the roof, blending elements of traditional Miwok architecture with those of Euro-Americans. Today, Miwok and Paiute people live in houses, apartments and mobile homes, just like other Americans. While some people have built traditional dwellings for demonstration purposes, living in old-style houses is a thing of the past.